Our principals and associated consultants have extensive Northern and international experience working with government and non-government stakeholders and rightsholders to provide independent policy advice, research and writing services, and professional development training. Specific past projects include research reports and books on enhancement of Permanent Participant capacity at the Arctic Council, Arctic sovereignty and security issues, real property policy, conscription of Aboriginal peoples, First Nations veterans, Aboriginal-military relations, Indigenous land and sea use, Arctic development principles, historical research on boundary issues, and non-Arctic state interests in the Canadian Arctic. We have also designed and delivered a range of professional development seminars, from three-day courses for civil servants on Arctic governance to individual lectures or panel presentations. Our main partners are Whitney Lackenbauer and Jennifer Arthur-Lackenbauer. We also have a strong team of consultants with whom we partner on specific projects. 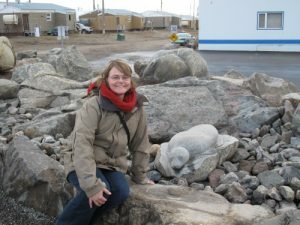 Whitney Lackenbauer, Ph.D., has nearly twenty years experience working on Canadian foreign, defence, and Indigenous history and policy. He is co-director of the Centre on Foreign Policy and Federalism at St. Jerome’s University and has served as co-director of the Emerging Arctic Security Environment project through ArcticNet and co-chair of the Munk School for Global Affairs-Walter and Duncan Gordon Foundation Arctic Peoples and Security initiative. He has written or edited more than two dozen books for academic, professional, and popular audiences on topics ranging from Arctic sovereignty and security, to Indigenous peoples in the military, to political memoirs. He is frequently invited by Canadian and foreign embassies, think tanks, and universities to speak on Arctic governance and security issues. He sits on the interdepartmental Arctic Security Working Group in Yellowknife and regularly conducts professional development seminars for the Canadian Armed Forces and other federal departments and agencies. 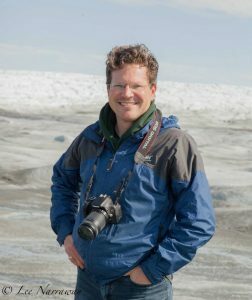 His previous consulting work includes designing a course on Arctic Governance for DFATD’s Foreign Service Institute, which he delivered four times for the department. He led a team conducting background research on Enhancing Permanent Capacity at the Arctic Council in support of Canada’s chairmanship initiative and facilitated a workshop on the subject, convened by the Canadian Chair of the Senior Arctic Officials (Department of Foreign Affairs, Trade and Development), in Yellowknife in October 2014. He served as an unpaid advisor to Gwich’in Council International in 2010, and is the Honorary Lieutenant-Colonel of the 1st Canadian Ranger Patrol Group, based in Yellowknife, with patrols spanning Yukon, the Northwest Territories, Nunavut, and northern British Columbia. More on his background and credentials are found on the other pages on this website. True North Consulting co-president Jennifer Arthur-Lackenbauer, M.Sc., has an undergraduate degree in political science and a master’s in rural planning and development from the University of Guelph. After graduate school, she worked as a social researcher for the City of Calgary for several years prior to moving into private consulting. She has designed surveys and analyzed results for policy research, has provided editorial, cartographic and layout services to various authors on book and article projects, and has produced annual reports for non-governmental organizations.